Sean Manaea has some good stuff working right now. He no-hit the Boston Red Sox on Saturday night with 10 strikeouts. 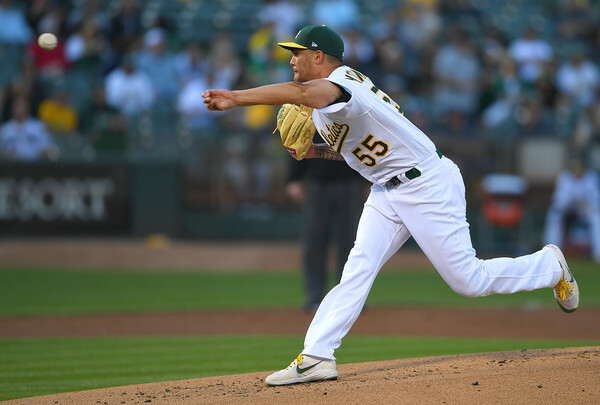 In throwing the no-hitter, Manaea beat the 17-2 Red Sox who have the best winning percentage all-time of a team that has been no-hit in a game. I wasn’t shocked that Oakland won. I actually bet on Oakland but put Manaea on my bench in my big money fantasy league (damnit). I liked the over in this game. Manaea beat Chris Sale on a night where Sale didn’t quite have his best stuff. Next Story → No Hitter! Dodgers Buehler & Others Combine For First Team No-No In Franchise History!